Published in Industry Updates on 09/28/2017 by Harry Lew, Chief Content Writer. With the advent of the Internet, being able to buy books, music, flowers, or, well, just about anything online became a powerful purchase driver. When you no longer needed to drive downtown or to the mall to buy, the motivation to do so became all the greater. This may account for why the life insurance industry has viewed online purchasing as a potential killer app. Not so fast, say the marketing scientists at LIMRA, an industry research and consulting association. On the surface, consumer messaging that stresses how quick and easy it is to buy life insurance online appears to be a winner. It’s an intuitive belief that tracks with how consumers have behaved in other product segments. However, in reality, LIMRA research has shown that “quick and easy online” is not as powerful a motivator as you might think. In a recent study, LIMRA looked at the effectiveness of a variety of different messages stressing the plusses for buying life insurance online. Result: no single message, including the “quick and easy” one, did a better job of motivating consumers to buy. Men and people who had never married thought more highly of life insurance after being exposed to a message that stressed they could buy high-quality life insurance both online and offline: 44 percent for men and 48 percent for non-married consumers, compared with 35 percent for the control message. Similarly, women tended to respond better to messages that promised their personal information would be safe online, compared with a control message (70 percent vs. 59 percent). Bottom line? That consumers will have more opportunities than ever before to buy life insurance online. This will likely generate sales growth. But online purchase opportunities won’t be the prime reason they decide to buy life insurance. It will more likely be an add-on to the more fundamental buy/not buy decision. 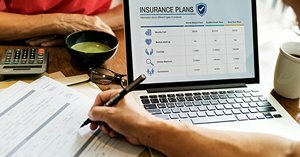 “For now, our research indicates that the people who will buy online are people who have already decided to buy life insurance,” LIMRA said, providing comfort to the industry’s legacy agent base—you—whose competitive advantage (and financial survival) depends on getting consumers to do the right thing for their loved ones . . . face to face. Time to breathe a sigh of relief? Hardly. Consumer preferences evolve. Technology gets better by the day. And products continue to get simpler, especially in terms of accelerated underwriting. If you want to succeed in this brave new life insurance world, you’ve got to keep raising your game. Good luck! Agents can request the full LIMRA study entitled, “Was It Something We Said? Messaging about Buying Life Insurance Online,” through their life company marketing department.